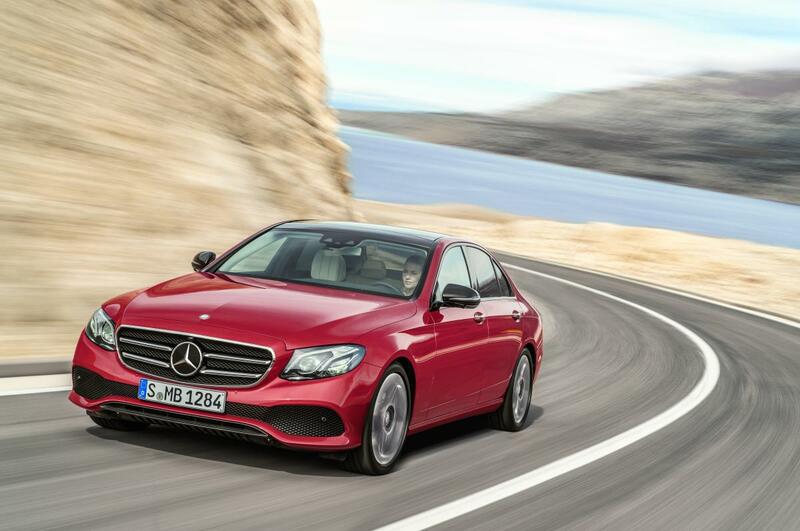 Numerous technical innovations make the new E-Class the most intelligent executive saloon. Over and above this the neutral testers from the South German Technical Inspection Authority confirm that it has an exemplary LCA, based on an extensive analysis. The new E-Class is thus receiving the Environmental Certificate in accordance with the ISO Directive 14062. Anke Kleinschmit, Chief of Research and Chief Environmental Officer of the Daimler Group: "We analyse the environmental compatibility of our models throughout their entire life cycle – from production, through their long years of service, to recycling at the end of their useful lives. That analysis goes far beyond the legal requirements. For our aim is products which are particularly environmentally friendly in their market segment. As a result the E-Class has received the Environmental Certificate from the South German Technical Inspection Authority." This is based on facts which speak for themselves: the E 220 d is a shining example with its NEDC consumption of 3.9 litres per 100 kilometres (102 grams of CO2 per kilometre) – a value which only a few much smaller vehicles have been able to boast until now. The cause for the high efficiency is an intelligent package of measures. These include a completely newly developed four-cylinder diesel engine, need-dependent energy management, the nine-stage automatic transmission 9G-TRONIC, the best aerodynamics in the segment plus reduced weight. But the E 220 d does not just post top values when being driven. In a holistic analysis the experts additionally calculate into the equation the CO2 emissions from the manufacturing and recovery phase. According to this, during its life cycle (material manufacturing, production, driving 250,000 kilometres and recycling) it produces a total of 36 tonnes of CO2 emissions, compared with 51 tonnes produced by its predecessor. Thus it improves its CO2 output by 29 percent. There is a similar picture when it comes to calculating the energy. Over all the life phases 27 percent less primary energy is consumed for the E 220 d, and when converted this corresponds to the energy content of around 6000 litres of diesel fuel. Not only does the new E-Class achieve the recycling rate of 95 percent by weight; it also closes many material loops. In total, 72 components with a combined proportionate weight of 54.4 kilograms are made from high-quality recycled plastics. This means that the mass of components made from secondary raw materials has been increased by 30 percent compared to the outgoing model. What's more, 90 components with a combined weight of 33.1 kilograms are produced using natural materials. The total weight of components manufactured with the use of renewable raw materials has thus increased by 59 percent compared with the preceding model. The selection of materials at Mercedes-Benz meets high standards with regard to wellbeing of the vehicle occupants. For this reason allergy prevention was included in the development process. As a result the current E-Class has been awarded the ECARF Seal of Quality from the European Centre for Allergy Research Foundation. The ECARF Seal of Quality is used by ECARF to designate products that have been scientifically tested and proven to be suitable for allergy sufferers. The conditions involved are extensive: numerous components from each equipment variant of a vehicle have to be tested for inhaled allergens, for example. In addition, all materials that might come in contact with the skin were dermatologically tested.